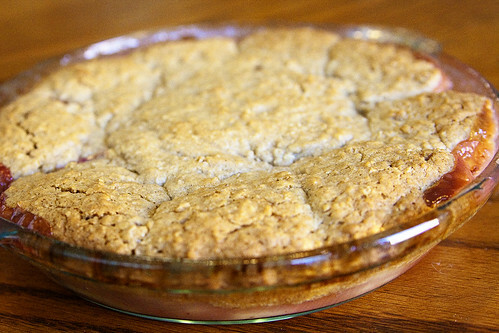 This past weekend, I decided to make a peach cobbler. You know, summer-time in Texas and all. 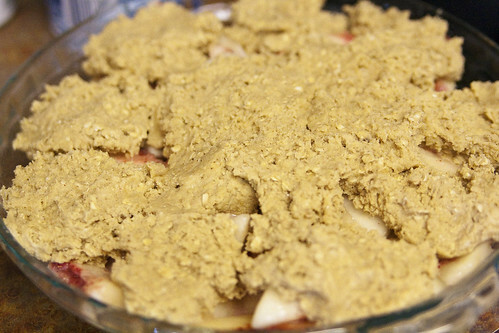 So, I started searching online for the perfect recipe and I found this little gem. 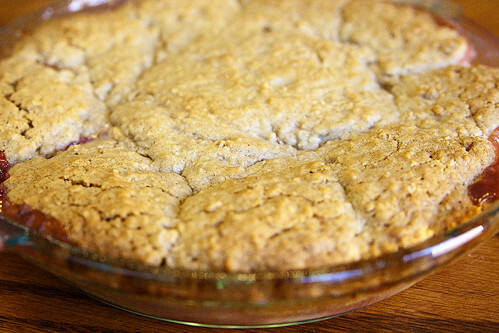 Oatmeal cookies and peach cobbler? Yum! It must’ve been yummy because my family *devoured* it. Literally. It was gone in about 10 minutes. 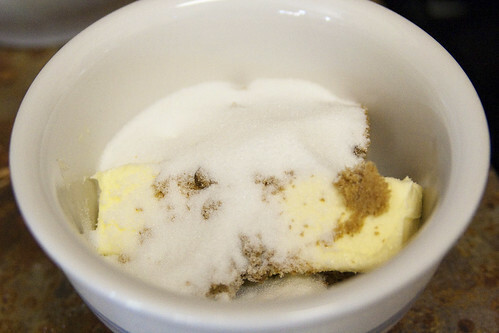 Mix the sugar, butter and brown sugar until light and fluffy. 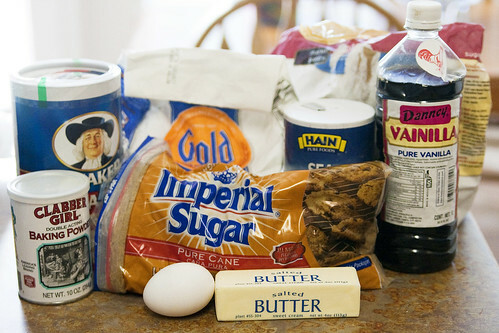 Add vanilla and egg and beat until mixed well. 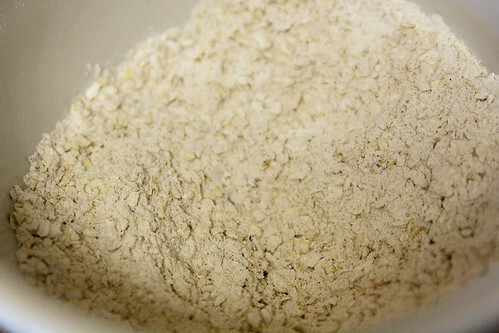 Whisk together the flour, oats, baking powder, salt and cinnamon. 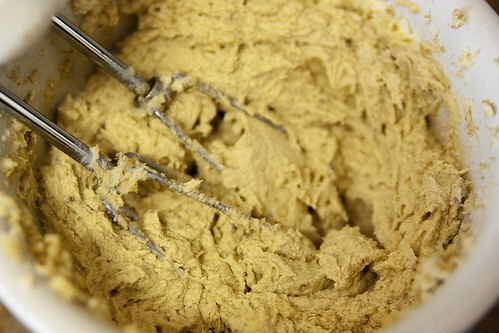 Gradually add the flour mixture to the batter and mix on low until well-incorporated. Peel and slice just enough peaches to fill a circular pie pan. That was about 10 large white peaches for me. 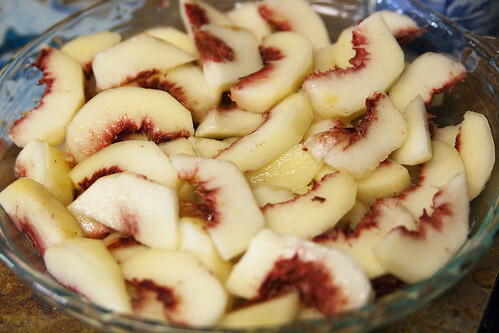 Aren’t the white peaches pretty? 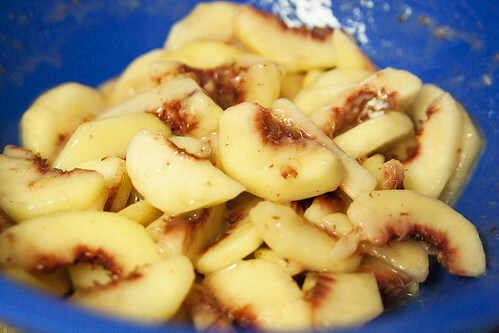 Mix the peaches with all the other ingredients for the filling. 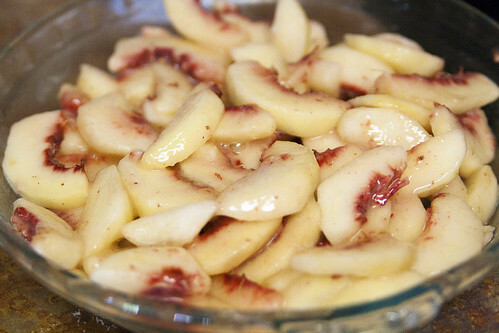 Make sure the peaches are fully coated. 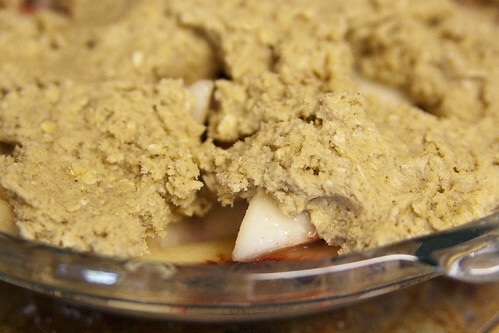 Coat the pie pan with cooking spray and pour the filling into it. Dollop 12 scoops of the chilled dough on top of the filling. Be sure to leave a few cracks — that’s what gives it its character! 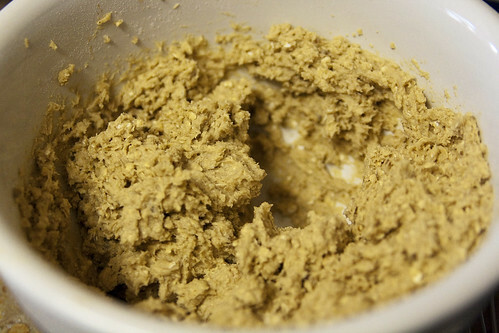 Bake at 350 degrees for 40 minutes, until light brown and bubbly. 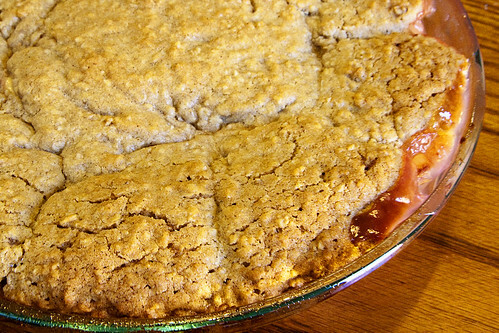 The chewy goodness of oatmeal cookies combines with the juicy sweetness of summer peaches in my Oatmeal Cookie Peach Cobbler. Yum!